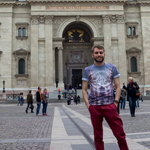 In April 2014 I had an amazing 4 day trip to Budapest in Hungary, as I was travelling with a friend we stopped in the Hotel Central Basilica (I would have stopped in a hostel but my friend wasn't as keen on the idea). 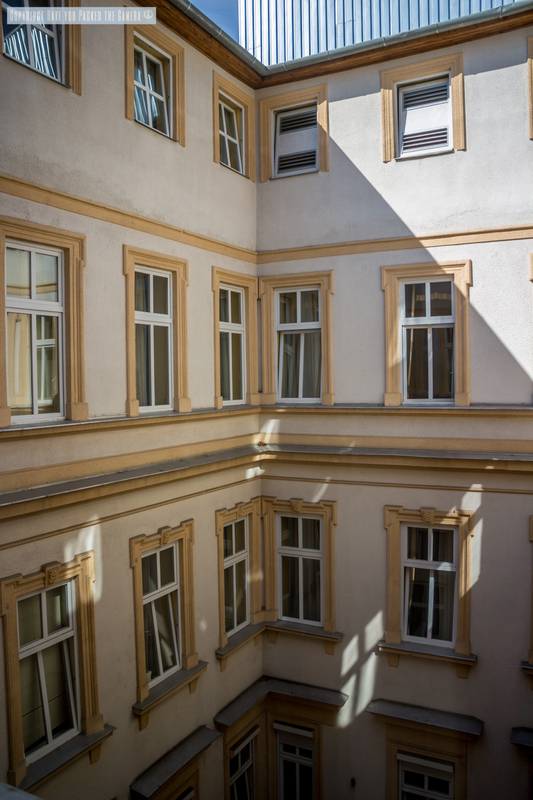 The hotel was a great choice, mainly due to its location and favorable price, however there were a couple of minor faults that could have been improved – Nothing too drastic though, and I would definitely still recommend this Central Basilica Hotel for people looking to stay in Budapest. General Location - The winning feature of the Hotel Central Basilica for me was the location – It has to be the most conveniently located hotel I have stopped in yet, I don't think it could have been better. 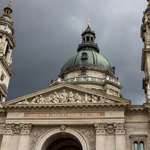 The hotel is on Hercegprímás which is a street that runs parallel to St Stephen's Basilica (St Stephens Basilica is a huge an ornate domed cathedral – One of my favorite buildings in Budapest). You can actually see the Basilica from the hotel reception and it takes less than a minute to walk to it. 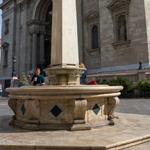 Surrounding the Basilica and hotel are a variety of bars, restaurants and shops, plus Coffee and Ice Cream bars – It was so easy to find somewhere to eat, and to have a drink in at night. 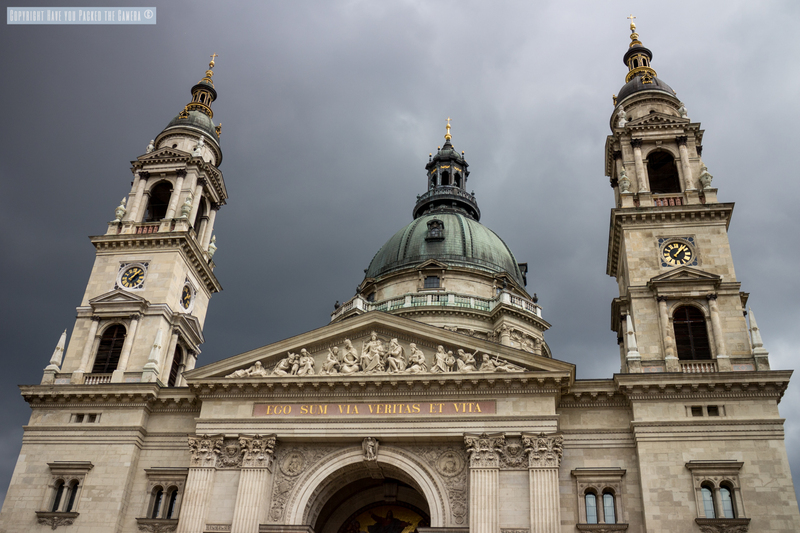 Sights - The Hotel Central Basilica as stated was right next to St Stephen's Basilica, it was also a 5 minute walk to the Széchenyi chain bridge and the banks of the River Danube. The Parliament building was a 15 minute walk along the Danube, and it took no time at all to cross the Széchenyi bridge to get to Buda hill. 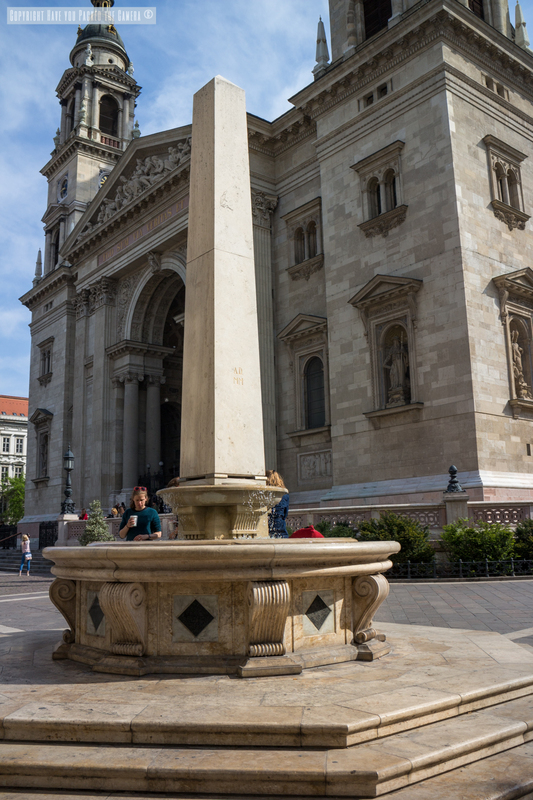 There was also a metro station behind the Basilica which we used to get to the Széchenyi baths and Vajdahunyad castle. 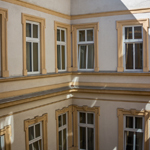 Transfers - Concerning airport transfers, the hotel was approximately 30-40 minutes from Budapest Ferenc Liszt Airport - The airport is situated on the outskirts of Budapest between districts XVIII and XVII. Before out trip, the hotel kindly emailed me with details of two different transfer services - A private taxi and a shared mini-bus. We opted for the private taxi (The convenience of not having to wait for other people did it for me) which came to 8000 HUF (£20, so £10 each) which I considered to be reasonable. I found this to be a brilliant service offered by the hotel as it took the stress out of making my own way from the airport in a new city that I didn't know. The room - We had a standard twin room that faced onto the inside courtyard of the hotel. The room was spacious, clean and had comfortable beds - That's pretty much all I'm looking for in a room so it was perfect. The only downside was the temperature - It was decent weather in Budapest and the room was literally like an oven at times! The room had air-conditioning but we were either using it incorrectly, or it wasn't working properly. The first few minutes in the room were really hot - It did improve however once the air-conditioning was on. 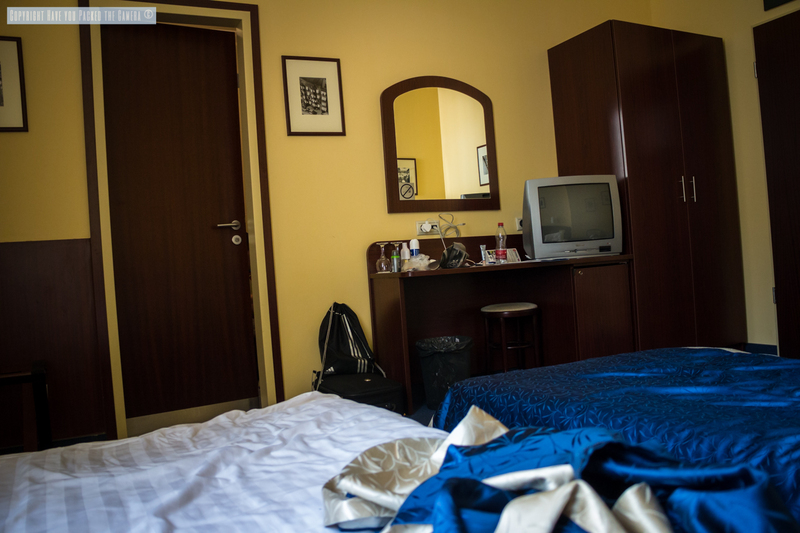 If you stay in the Hotel Central Basilica, make sure you use the air-conditioning and also turn the heat down on the towel rack in the bathroom and keep the door shut - We found that a great deal of the heat was coming from the bathroom. Bathroom - As stated above, make sure you turn the heat down of the towel rack! The bathroom was generally fine, however the only gripe I had was the shower; In a hotel I would expect the shower to be either a separate cubical, or on an attachment in the bath at a high enough level to stand under, at the end of the bath. The shower in our bathroom was the latter of the two, however the fixing was in the middle of the bath and it was the same height as my chest (bearing in mind I'm only 5ft2!!!!!) so I had to take the shower head off and have a "manual" shower as such - This didn't bother me too much but my friend is 6ft tall so he ended up showering on his knees hahahaha!!!! I don't know if all the showers are like this in the hotel so if this is something that would be a problem, I would enquire at the reception. The hotel price included breakfast which we made full use of; the breakfast was a buffet style and had a really good selection including cereal with milk, yoghurts, cold meats, bread, croissants, condiments such as jam and marmalade, scrambled and boiled eggs and fresh juice and coffee/tea. It was a great selection and the food was replenished periodically by friendly waitresses. I'm not a huge breakfast fan so I had cereals and orange juice each morning, however my friend Ant loved it and guzzled down cereal, scrambled eggs, a yoghurt and bread & jam (greedy sod!) - Great value and a perfect breakfast to start the day with! For me the Hotel Central Basilica was a great hotel that could have been perfect but for a couple of the issues I mentioned above. I am not a fussy person who has to have everything perfect however the room temperature and shower position stop me from giving this hotel a 5 star rating. Advertised as a 3 star hotel, I would say that is a very accurate assessment however with a couple of tweaks to the rooms, it could be a 4. 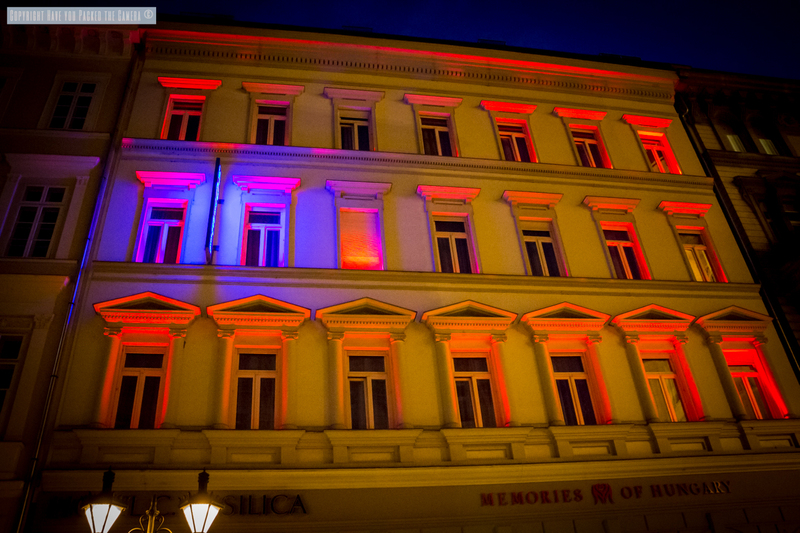 The location, service from the staff and breakfast were all brilliant and definitely made our stay in Budapest that much more enjoyable and relaxing.